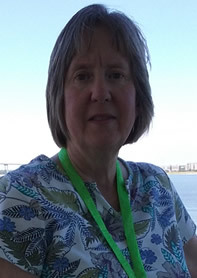 10 CEU Contact Hours for licensed professional counselors and clinical social workers. 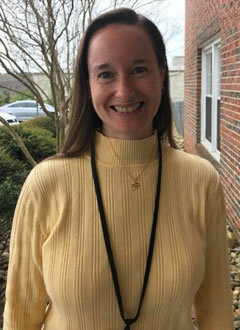 Upstate CEUs was started to provide local, low-cost CEU seminars to mental health professionals in the Upstate SC. All seminars are designed to contain information and skills clinicians can immediately use. Classes are generally small and interactive. SC LLR Permanent Sponsor #4546. Two twin beds (convert to king) and double sofa bed. 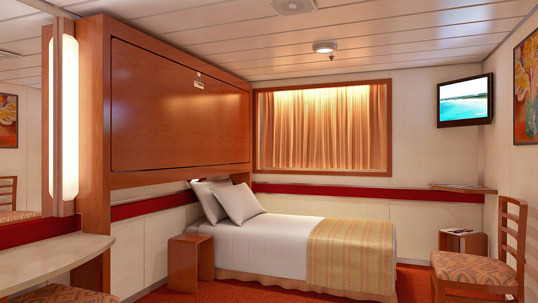 A trundle bed will be provided if a fifth guest is booked to this stateroom. Sofa, armchairs and coffee table. Desk and seat. Full bathroom with shower/tub. Walk-in dressing area with ample closet space. Private large balcony with patio chairs and table. 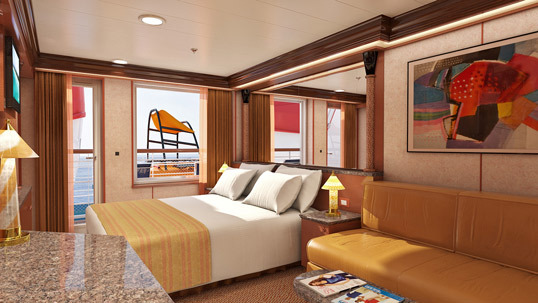 Stateroom: 330 sq. ft. Balcony: 70 sq. ft.
Two twin beds (convert to king) and single sofa bed. Sofa and coffee table. Desk and seat. Full bathroom with shower. 3 closets. Private balcony with patio and Lounge chairs. 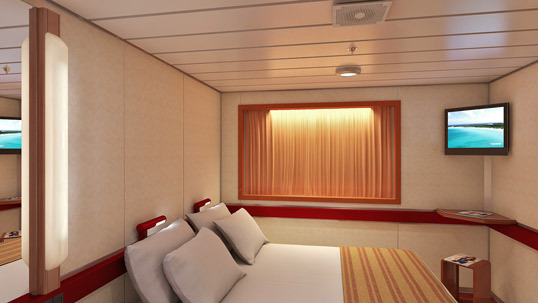 Stateroom: 330 sq. ft. Balcony: 70 sq. ft. Also available as a Quad. Two twin beds (convert to king) and single sofa bed. Sofa and coffee table. Desk and seat. Full bathroom with shower. 3 closets. Private balcony with obstructed view; patio chairs and table. View is obstructed by a lifeboat, tender boat and/or steel beam. 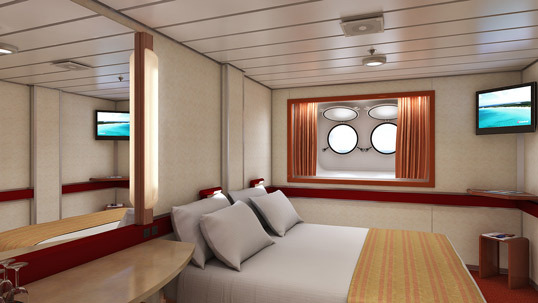 Stateroom: 330 sq. ft. Balcony: 70 sq. ft. Also available as a Quad. Two twin beds (convert to king) and double sofa bed. 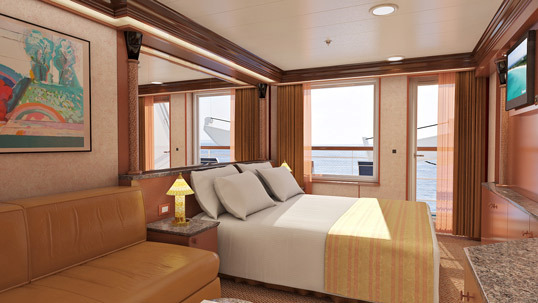 A trundle bed will be provided if a fifth guest is booked to this stateroom. Sofa, armchairs and coffee table. Desk and seat. Full bathroom with shower/tub. Walk-in dressing area with ample closet space. Private extended large balcony with patio chairs and table. 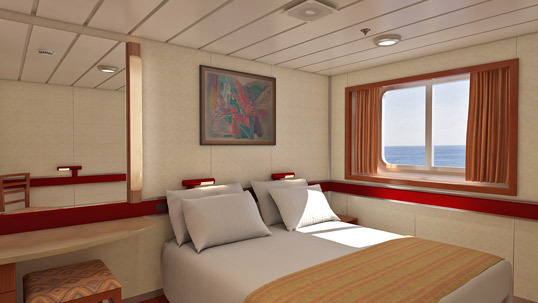 Stateroom: 330 sq. ft. Balcony: 115 sq. ft.
Two twin beds (convert to king). Desk and seat. Full bathroom with shower. 3 closets. Picture window. Stateroom: 185 sq. ft. Also available as a Quad. Two twin beds (convert to king). Desk and seat. Full bathroom with shower. 3 closets. Picture window. Stateroom: 185 sq. ft.
Two twin beds (convert to king). Desk and seat. Full bathroom with shower. 3 closets. Porthole window. Stateroom: 185 sq. ft.
Two twin beds (convert to king). Desk and seat. Full bathroom with shower. 3 closets. Stateroom: 185 sq. ft. Also available as a Quad. Twin bed and one upper pullman. Desk and seat. Full bathroom with shower. 3 closets. Stateroom: 185 sq. ft.
Balcony Balcony Stateroom 8A.Two twin beds (convert to king). Desk and seat. Full bathroom with shower. 3 closets. Private balcony with patio chairs and table. Stateroom: 185 sq. ft. Balcony: 35 sq. 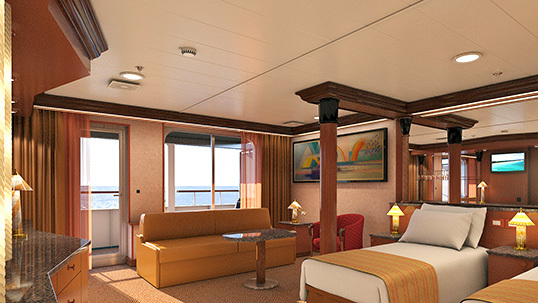 ft.
Balcony Balcony Stateroom 8B.Two twin beds (convert to king). Desk and seat. Full bathroom with shower. 3 closets. Private balcony with patio chairs and table. Stateroom: 185 sq. ft. Balcony: 35 sq. 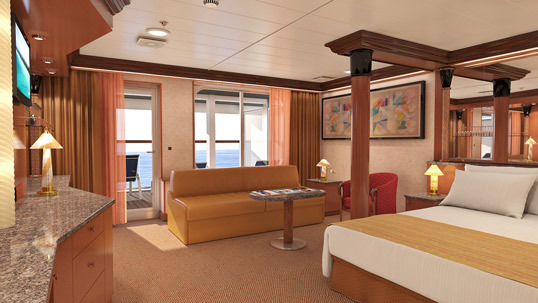 ft.
Balcony Balcony Stateroom 8C.Two twin beds (convert to king). Desk and seat. Full bathroom with shower. 3 closets. Private balcony with patio chairs and table. Stateroom: 185 sq. ft. Balcony: 35 sq. 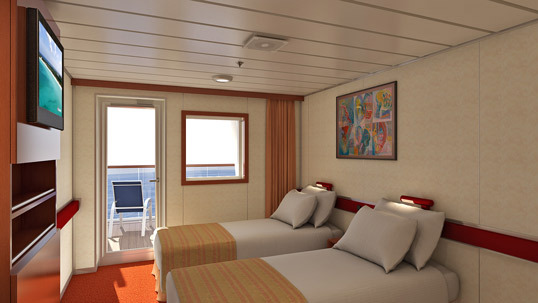 ft.
Balcony Balcony Stateroom 8D.Two twin beds (convert to king). Desk and seat. Full bathroom with shower. 3 closets. Private balcony with patio chairs and table. Balcony Aft-View Extended Balcony 8M.Two twin beds (convert to king) and one upper pullman. Desk and seat. Full bathroom with shower. 3 closets. Private aft-facing extended balcony with patio chairs and table. 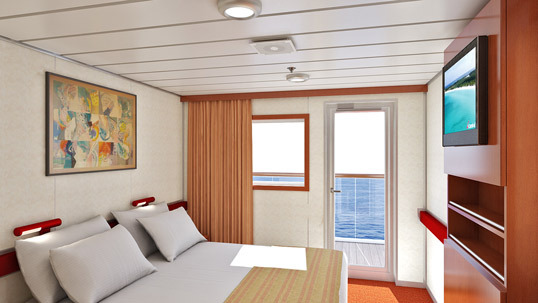 Stateroom: 185 sq. ft. Balcony: 55 sq. 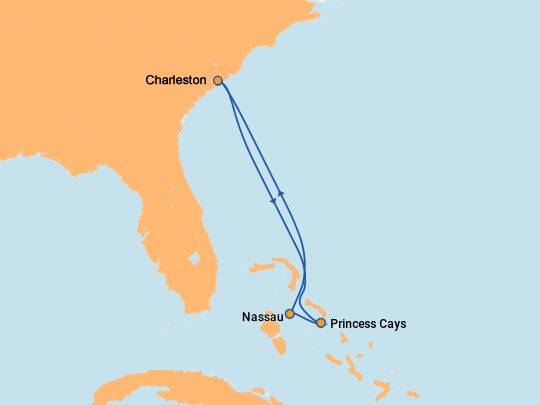 ft.
$50 Onboard Credit per cabin!